There is a new version of this course. Please see SAS® 360 Discover: Data Collection Settings and Rules. This self-paced learning prepares you to control settings and build basic and advanced configurations for SAS 360 Discover. The course combines conceptual videos and demonstrations, simulated practice using the software, and informal quizzes. Before viewing this course, you should have knowledge of HTML. 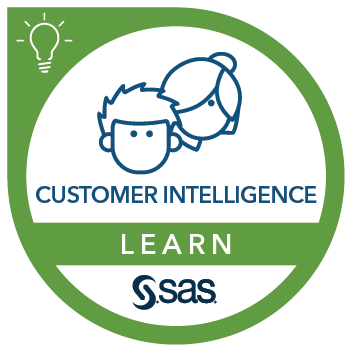 This course addresses SAS Customer Intelligence 360 software.